More than half a year after Apple's 2013 Worldwide Developers Conference ended, the company has released an update to the official WWDC iOS app to fix an issue where developers were unable to watch videos. WWDC for iOS version 1.3 brings a fix to a reported issue some third party developers were seeing when attempting to log in and watch session videos. As per usual, last year's annual conference included a number of talks regarding keystone Apple platform technology, with a specific focus on new tools for OS X and iOS. Sessions were recorded with corresponding Keynote slides for developers to refer to when building or troubleshooting apps. 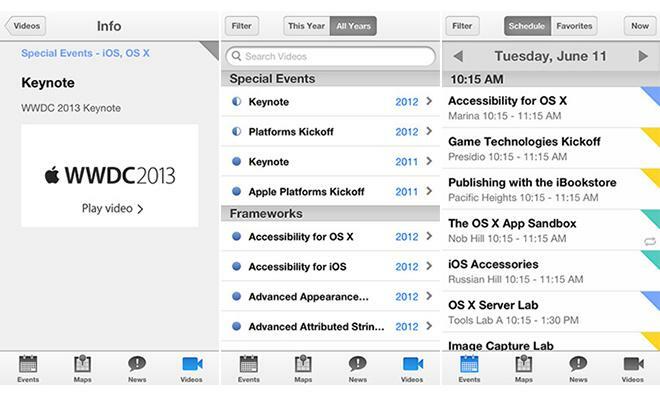 Without a functioning WWDC app, many devs were left without easy on-the-go access to the information cache. The latest version of Apple's WWDC app is a free 4.5MB download from the App Store. 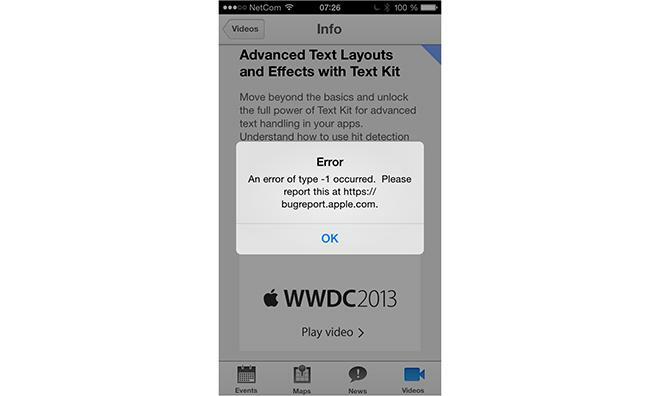 Update: AppleInsider has received reports of continuing issues with Apple's WWDC app. As seen in the image below, provided by reader Geert-Jan, the app is still showing problems accepting passwords. Update 2: Apple has seemingly once again updated the backend serving its WWDC app and users are reporting the latest fix is working.